Commissioned by RICAGV and conducted by former New York Times poll analyst Louis DiNatale, of Princeton Research Associates. 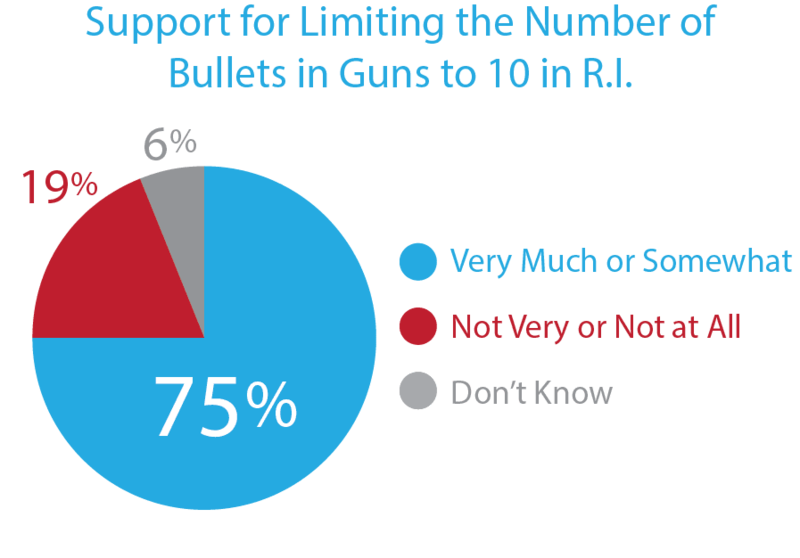 Rhode Island public opinion in favor of 3 common sense gun control bills increases when voters are told of shortcomings in existing R.I. law dealing with gun safety. The initial percentage of voters in favor was 78%. 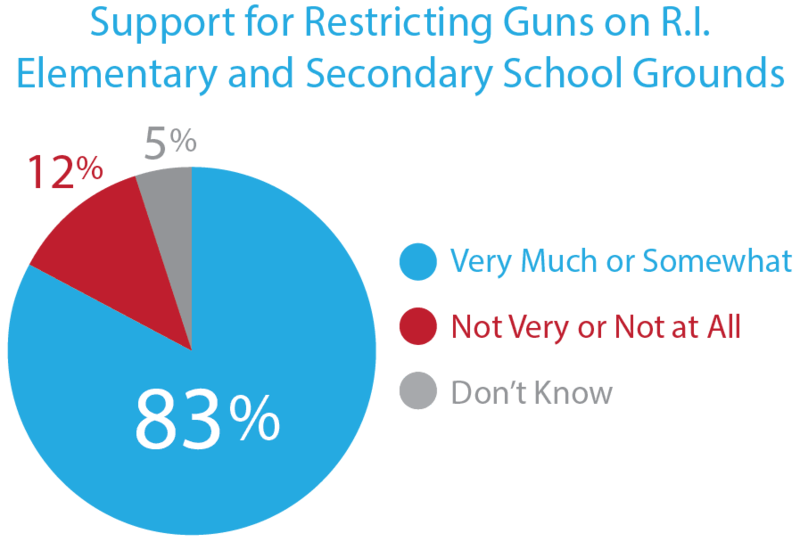 Pollsters then explained that today in Rhode Island anyone with a concealed carry permit could bring a gun to a classroom, any school function, parent teacher conference and even sporting venues. Guns are prohibited at the State House and other sensitive buildings and the vast majority of states prohibit guns in elementary schools. The total of voters expressing support for this law either very much or somewhat increased from 78% to 83% after learning this new information. The initial percentage of voters in favor of this bill was 66%. Pollsters then explained that the Rhode Island law limits hunters to 3 bullets for duck hunting and 5 for deer hunting, but there is no limit for the number of bullets in weapons commonly used for mass shootings. The total of voters expressing support for this law either very much or somewhat increased from 66% to 75% after learning the new information. The initial percentage of voters in favor of this bill was 87%. 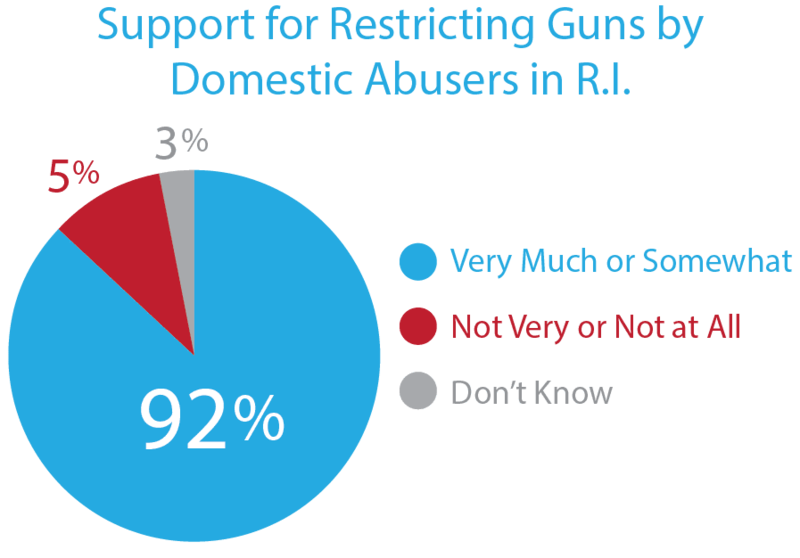 Pollsters then explained that federal law resticts firearms for these abusers, while Rhode Island does not; after acquiring this information, voters were then again asked how strongly they would support restricting possession of guns by individuals convicted of domestic violence offenses. The total of voters expressing support for this law either very much or somewhat increased from 87% to 92% after learning the new information.